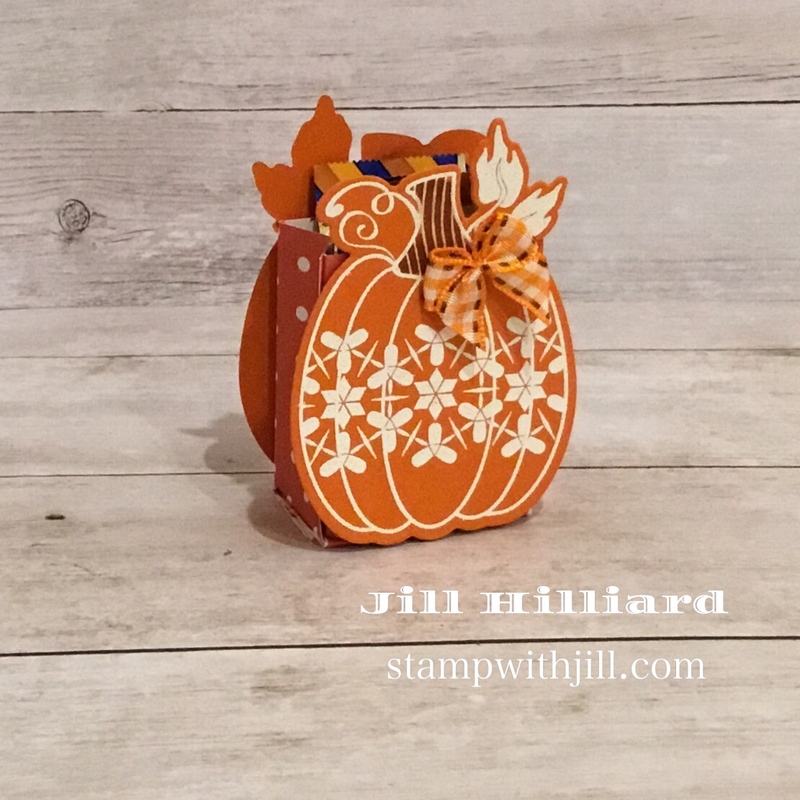 How much fun is this Pumpkin project? Can you say Pumpkin Treat Box? Oh M Gee. Are you in love yet??? I made both projects on FB live yesterday. Look at my silly face! 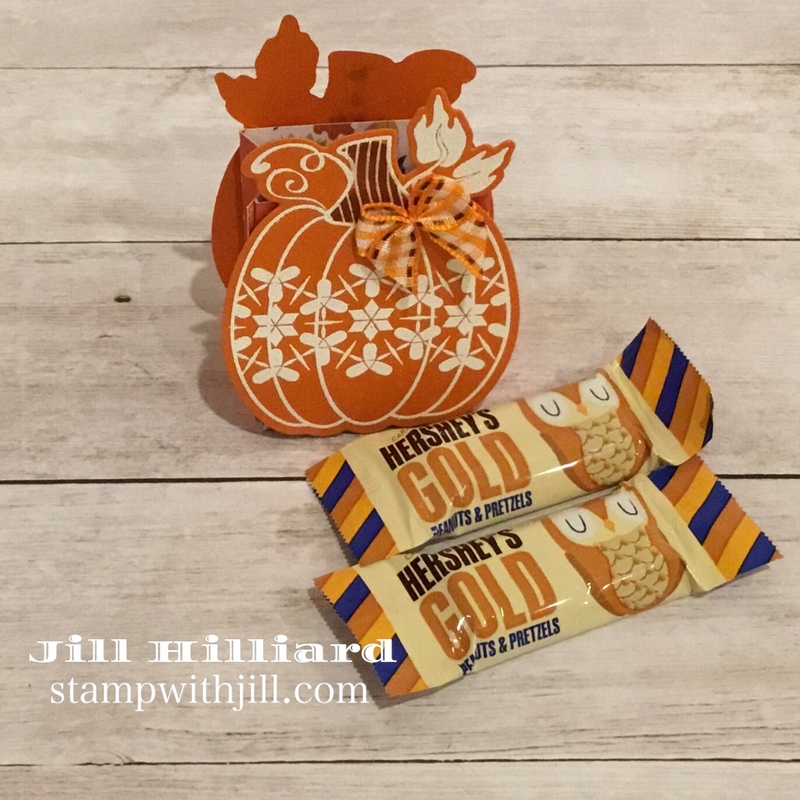 if you have not tried these yummy Hershey’s gold candy that fits perfectly inside the Pumpkin Treat Box, run to the store and get some. Delish! 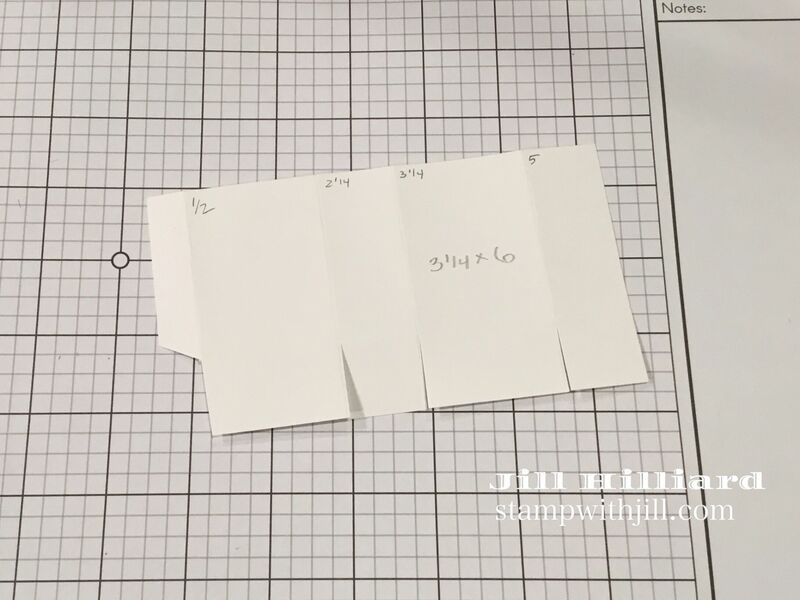 Here are the measurements for the Pumpkin Treat Box. I walk you through everything except the heat embossing on the video, be sure to check it out! Such a cute little treat box! 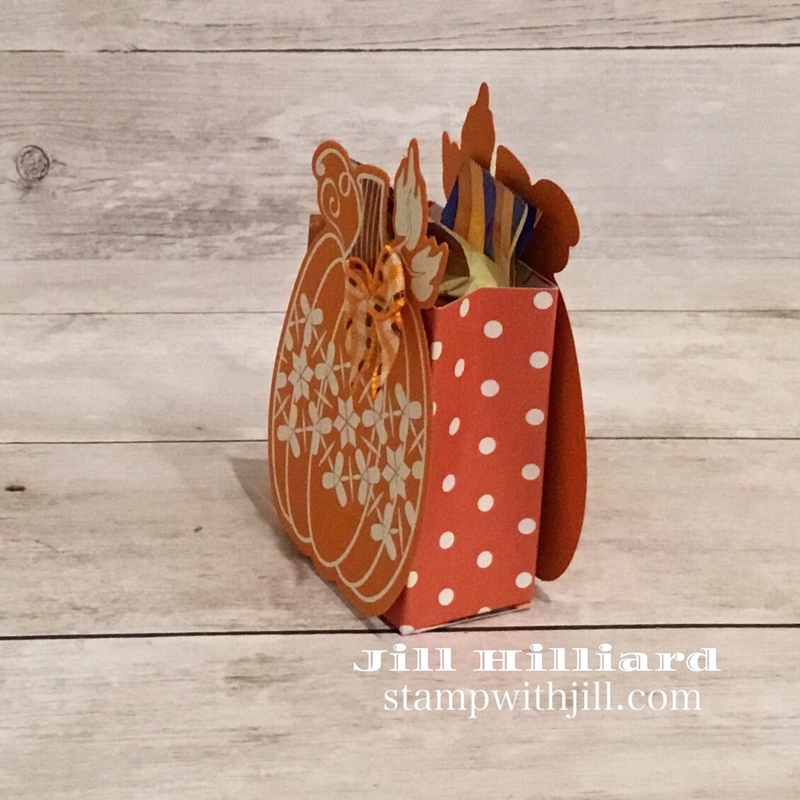 I just love this Martha’s Pumpkins bundle . Stunning when heat embossed with white powder. At the end of my video I totally forgot to put the little bows on my pumpkin treat box! oops! I’ll blame that on the Facebook live nerves! Love your card! Cute treat holder!